…it’s that they like to multiply. Needles: Size US 7 16″ circs. and set of US 7 dpns. how do you like *them* apples? Needles: Size US 6 dpns. On Tuesday, I decided to cast on my Raglan pullover for the Spud & Chloe knitalong, and let me tell you – this is going to be big trouble. 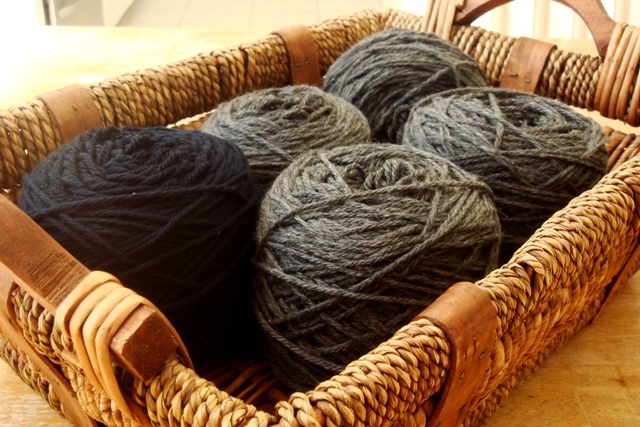 If you are going to start a knitalong, you should forget about everything else you need to do – laundry, cleaning, showering – because the only thing that will matter to you will be getting to the next step. It is so insanely addicting that I even skipped lunch just so that I could keep knitting. Part 1 is finished – since my neck measured 5″, I cast on the same number of stitches as Susan’s Grape Jelly pullover, and knit the raglan increases until the piece measured 3″ from the cast on edge before joining in the round. I am quickly working my way through Part 2, which is to knit the sweater until it reaches 1″ below my underarm, after which, the sleeves will get separated from the body. I am using one of my beloved LL Bean raglan pullovers as a guide…everything is matching up quite nicely. I love that this sweater pattern is more of a recipe than an actual written pattern; since it’s knit top-down, I’ll be able to try it on as I knit and custom-fit it to my body using a little bit of math. Susan clearly explains every step, so don’t let a little math scare you from joining. Plus, there is a lot of support out there if you need help along the way! At my favorite local yarn store, Stitches with Style, I earned a $20 yarn credit for finally filling up my frequent-buyer punch card. That means free yarn! 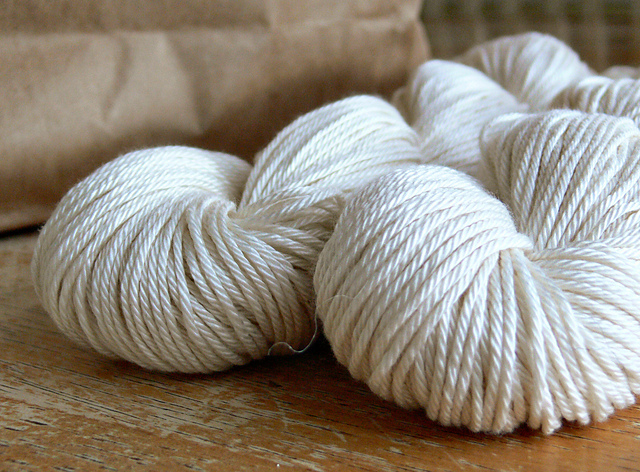 I went straight for the wool and picked up some skeins of Cascade 220 for a couple of projects in the queue. 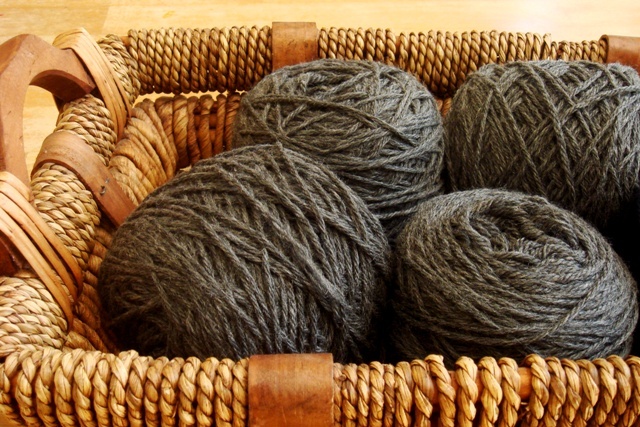 This sooty gray is for the Spud & Chloe raglan sweater knit-along…the group is well underway, but surely, they won’t mind a latecomer? I’ll probably start the project sometime next month, but in case you want to jump in now, the details of the knitalong are here. It’s hosted by the awesome Susan B. Anderson, so you know everything is going to be well explained! 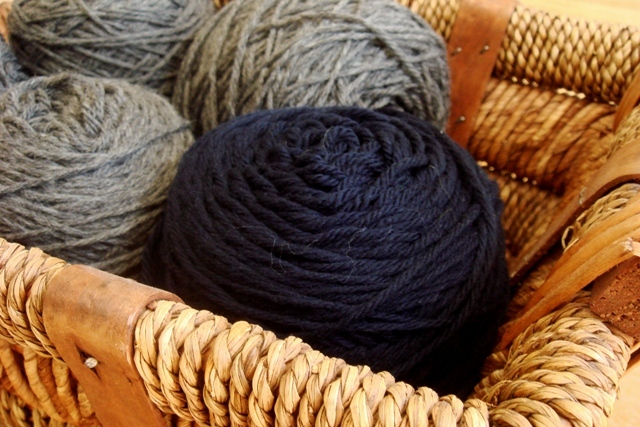 I also grabbed a skein of the 220 in Navy, because my sweet baby nephew needs a new winter hat for his meatball-sized head. I’m thinking something with ear-flaps and a pom-pom, paired with some of the gray yarn above. 1. Make a delicious brunch. Doesn’t this Brioche French Toast looks scrumptious? 2. Browse the new fabric at Sew Mama Sew! 3. See what Garance is up to. Then promptly clean out closet. 4. 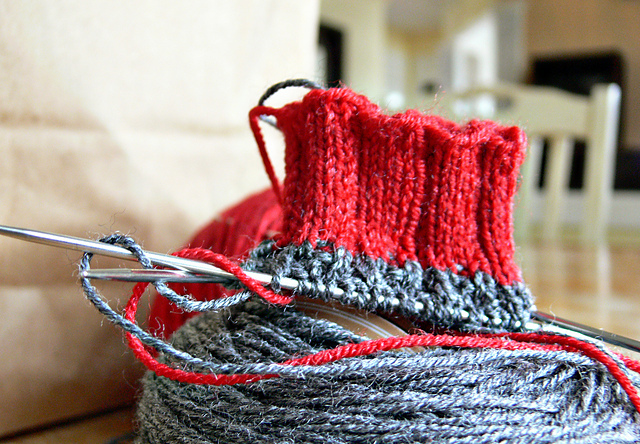 Catch up on Never Not Knitting podcasts. 5. Splurge on a glamorous new summer lipstick. Wear it every single day to justify the cost. 7. Read about Susan’s Dream Catcher Baby Blanket. Adorable and free! 8. Read the new online Lonny magazine. Drink hot coffee. 9. Plan a trip to the gorgeous new Purl Soho shop. Leave wallet at home. 10. Make a pot of Sunday Sauce. Check out Ree’s yummy version. Oh, the joys of Spring! 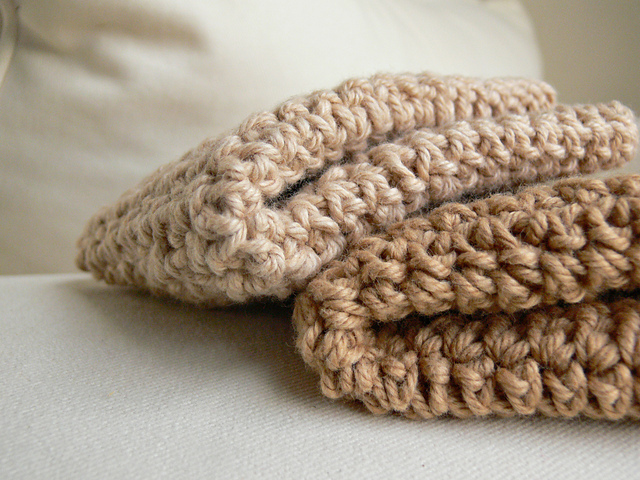 Babies, babies, and more babies to knit for. 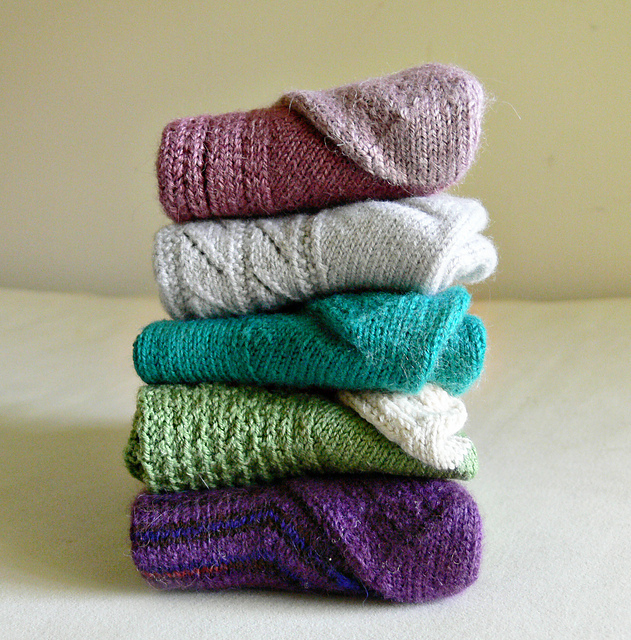 Baby knits are the most satisfying types of knits – fast, cute and colorful. This little hat is for another old high school friend of mine, Pete, and his wife Stephanie. They are having a little girl in a few weeks, and I couldn’t resist whipping up this little confection of a hat for her. The stem is knit as part of the hat, and the five petals were knit separately and then attached after. I left the petals slightly loose, so that the ends could curl up a bit like – just like real flowers. There was quite a lot of weaving in to do, but the overall effect was totally worth it. Source: Itty Bitty Hats. Buy it here! Needles: Size US 7 16″circular and US 7 dpns. Lately, my brain is bursting with so many creative ideas that I literally had to write them all down! I have quite a few things to show you, including some super-soft washcloths, a luxurious silk shawl/scarf, a new fingerless glove pattern, a couple of knitting magazine reviews, oh, and Jaime made two new fantastic summer dresses for the girlies. Can’t wait to show you!